Bonaire (pop. 14,500), a small island off the coast of Venezuela, is famous for its beautiful marine reefs, which are visited by 70,000 tourists every year. What many of the tourists don't realize is that the majority of the electricity powering their needs comes from renewable energy. Yet for the residents of Bonaire, the switch from fossil-fueled to renewable energy systems has made a world of difference. 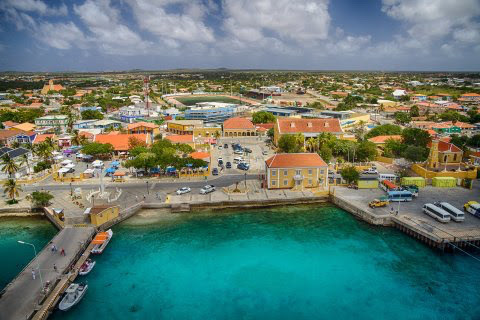 Like many Caribbean islands, Bonaire originally relied on diesel fuel to generate electricity for residents, with a peak demand of 11 megawatts (MW). This fuel had to be shipped in from other nations, resulting in high electricity prices for Bonaire residents, along with uncertainty about when and how much prices might increase with changing fuel costs. The result is a transformed electricity system on Bonaire. The island is now home to 12 wind turbines with a total of 11 MW of wind power capacity, which contribute up to 90 percent of the island's electricity at times of peak wind, and 40-45 percent of its annual electricity on average. Battery storage (6 MWh) is included in order to take advantage of available power in times of excess wind, and provide that stored electricity in times of low wind. The battery also boosts the reliability of the overall system—it is capable of providing 3 MW for over two minutes, allowing time for additional generation to be started when there is a sudden drop in wind. The Bonaire system also includes 14 MW of diesel generation, five total generators, which provide the necessary power to meet the load when there is not enough wind power available. The generators are equipped to run on both traditional diesel as well as biodiesel. The next steps in the island's energy transformation involve using local algae resources, grown in the large salt flats on the island, to create biofuel, which can then be used in the existing generators. This will allow Bonaire to operate a 100 percent renewable electricity system—with on average 40–45 percent from wind and 55-60 percent from biodiesel. The new electricity system led to more reliable electricity, more employment opportunities, reduced dependence on oil (and its fluctuating prices), and a reduction in electricity bills. Bonaire residents currently pay $0.22/kWh for electricity, much lower than prices on other nearby Caribbean islands, which are often $0.36/kWh or above. When oil prices spiked in 2008, while Bonaire was still using temporary diesel generators before making its transition to renewables, electricity prices on the island reached $0.50/kWh. The new electricity system also created jobs for the construction and ongoing operation of the wind farm, and for research and development of algae production capabilities and conversion to biofuel. Additional employment opportunities will be created for continuing algae production and operation of the biodiesel plant. 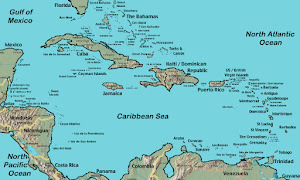 Within the Caribbean, there is a growing awareness of the need for a new economic paradigm for inclusive and sustainable development, in order to deliver solutions for the most pressing challenges which are made worse by international economic and environmental crises. In the backdrop of the limited diversification of the countries’ economies and their dependence on natural resources, green economy offers a viable option to increase competitiveness and resilience of the region’s economies and merge prosperity and growth for all with sustainability. “I commit my Government to working assiduously with the Social Partnership to ensure that the measures indentified in Barbados’ Green Economy Scoping Study, which can contribute to a more prosperous and environmentally sensitive Barbados, will be implemented expeditiously” said Freundel J. Stuart, Prime Minister of Barbados. “We see a green economy not only as the area of renewable energy, but we see the green economy as a means of providing new opportunities for our people in St. Kitts,” said Earl Asim Martin, Deputy Prime Minister of St. Kitts and Nevis. Effective green economy strategies and programmes must address barriers to change that affect the whole Caribbean region. In searching for alternatives to “business-as-usual”, emphasis should be placed on redirecting investments and creating economic incentives that lead to sustainable development and poverty eradication. 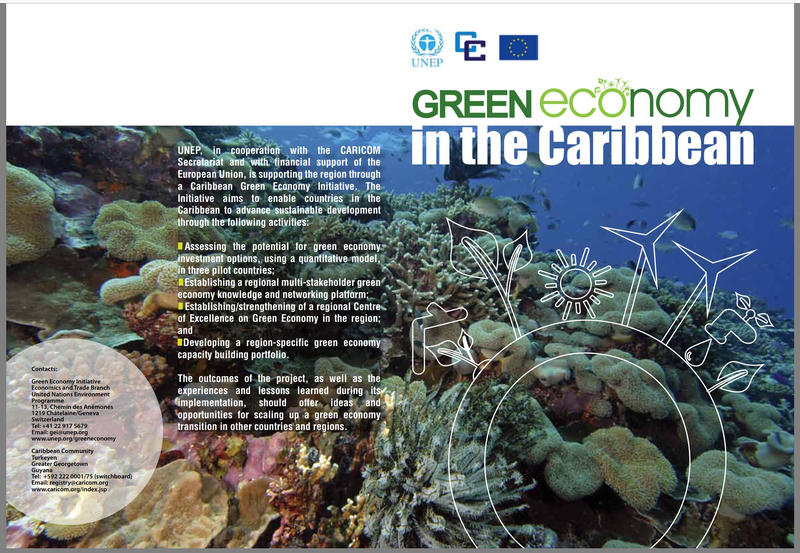 UNEP, in cooperation with the CARICOM Secretariat and with financial support of the European Union, is supporting the region through a Caribbean Green Economy Initiative. The outcomes of project, as well as the experiences and lessons learned during its implementation should offer ideas and opportunities for scaling up green economy transition in other countries and regions especially in island states in the Pacific, Africa and elsewhere. 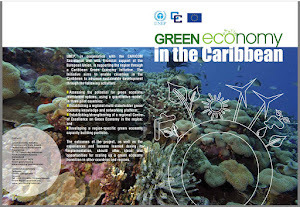 Please download the project flyer on green economy in the Caribbean here. The objective of the CCRIF Regional Internship Programme is to provide career-related work experience for Caribbean citizens that enhances their academic training and provides a real world introduction in the areas of disaster risk management, climate change, meteorology, risk transfer and/or risk modelling. These guidelines provide the framework for this internship programme. CCRIF partners with national disaster management organizations and the Caribbean Disaster and Emergency Management Agency (CDEMA), Caribbean Development Bank (CDB), Caribbean Community Climate Change Centre (CCCCC), Caribbean Institute of Meteorology and Hydrology (CIMH) and the University of the West Indies (UWI) and other regional organizations. Since its inception in 2014, the Caribbean Climate Innovation Centre (CCIC) programme has been leading the way in developing a regionally integrated approach to solving the Caribbean’s climate, energy, and resource challenges. 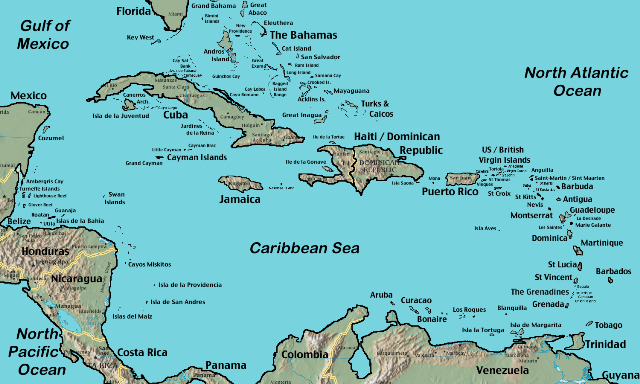 The CCIC programme aims to assist Caribbean island states to adapt to and mitigate the impact of climate change by empowering each territory to create clean technologies and businesses, and strengthening several critical areas. Chief Executive Officer (CEO), Everton Hanson, tells JIS News that the Centre is taking an entrepreneurship approach to addressing the issues. “The purpose of this project is to build an entrepreneurial ecosystem that will foster growth-oriented entrepreneurs and profitable businesses that address climate change mitigation and adaptation,” he says. Here in the U.S. Virgin Islands, like all over the Caribbean, we depend on our reefs for tourism, to protect our coastlines, beaches and favorite marine creatures, and to support recreational and commercial fisheries. However, the list of threats to coral reefs continues to grow. Climate change, pollution, run off, over-fishing, and vessel groundings continue to put pressure on our coral reef ecosystems. Conserve Energy: fossil fuel emissions contribute to global climate change, warming oceans and ocean acidification; so walk, ride your bike or ride the bus whenever possible. Use energy efficient appliances and lightbulbs or consider alternative energy like solar or wind. The Caribbean Development Bank (CDB) can now better access funds to address climate change and mitigate the impact on Borrowing Member Countries (BMCs) after the Board of the Adaptation Fund announced on March 1 that accreditation has been granted to the regional development funding agency. “CDB’s accreditation opens gateways to well-needed grant financing which will enable our Borrowing Member Countries to proactively address life threatening vulnerabilities,” said Dr. Warren Smith, president of the CDB.